Yesterday was our 33rd wedding anniversary and we didn’t do anything to celebrate it. It may be that we are tired or too busy, or maybe it is that we are just content in the midst of the middle ages. Either way, I know I can’t imagine myself without my usually sane business partner, beloved wife and mother of our three kids, dear Beth. My brother nicely wrote recently about not even remembering when he didn’t have such a soul mate as his wife (he’s been married longer than me) and I understood exactly. We are blessed. I am going to suggest that some of the health of our relatively happy marriage comes from reading good books on all sorts of topics. Early on in our young adulthood, fired up about social change and God’s Kingdom and relevant ministry and intimate community with like-minded friends, we read about all sorts of things, curious and veracious about God’s care for all of life, how our deepest convictions about the reign of the Triune God might be lived out in our broken world. That we chose early on not to fixate on our marriage, but to ponder the meaning of Matthew 6:33—seeking first and only God’s Kingdom—seems to have be a helpful approach. In the heyday of the “relationship” emphasis of the 80s, with everybody talking about co-dependency and recovery and hurts and issues (some of which was genuine and healthy) we sometimes feared that we were missing something. Were their deep dark secrets we were suppressing? Do you know that scene in the old Woody Allen movie where he stops a cheery, obviously in love couple on the street? He asks them the secret to their joyful unity and one replies something like “Well, I’m just shallow and don’t have very much deep stuff to think about” and the other says something like, “Yeah, me too.” We kinda felt like that sometimes. Maybe we were happy because we just weren’t working at our marriage all that much. Still, thinking and reading widely has been helpful. We are sometimes asked for our favorite books for couples, and of course our answer varies depending on the faith, lifestyle, age of the couples, and how deep or academic they want things to be. (And maybe something like Shane Claiborne’s Irresistible Revolution is the jolt they need to take up the cares of others for a season, losing themselves to find themselves, you know.) Yet, there are a few we come back to over and over, writing to friends and customers who inquire about the best books for either pre-marital reading or for ordinary marriage renewal. These aren’t for those in deep trouble, and aren’t scholarly. We have books on the tough stuff, recovery from infidelity, books about domestic violence, authors who help those with sexual problems or resources for counselors. Call us or hit the inquiry tab up above if you want to talk about other related issues. Here then, are a few we find ourselves recommending. As For Me and My House:Crafting Your Marriage To Last Walter Wangerin (Nelson) $14.99 This is written almost as memoir, Wangerin telling stories, by one of our great living authors. in the back of the book making it really useful to have. (You can still get the study guides separately, though.) There is a 6-session DVD, too ($30.00) which is very well done–short clips to generate conversation in groups, bits of Dan Allander teaching, interviews with couples. Excellent, solid, beautiful stuff. (By the way, these are the guys that are interview in the recent Donald Miller Convergence DVD project I wrote about the other day.) Highly recommended. sexuality, communication and such and give great advice. 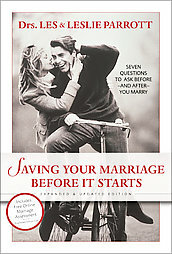 There is a newer one entitled Saving Your Second Marriage Before It Starts that, it seems to me, would make essential reading for those considering re-marriage. Another good one from them is called I Love You More: How Everyday Problems Can Strengthen Your Marriage (Zondervan; $12.99) and covers a range of family issues, personal problems, particular struggles, with testimonials and case studies of those who made their way through matters as painful as infertility, handicapped kids, sexual infidelity, money problems, spiritual differences, and so forth. Les and Leslie. Read ’em and learn. everyone who isn’t used to books about the inner life. A true favorite of many, though; there is nothing like it! Beth and I both have thought it to be our favorite (at one point or another, I think) and we’ve given it as a wedding gift. I suspect that many of our best customers will find it extraordinary and a real find, for its insight, theology, and well-crafted prose. You might as well just buy an extra copy or two now as you will want to share it. Many sorts of folks have said this is the best thing they’ve read on marriage, so we really do commend it. A forward by J.I. Packer is very nicely done. Mason has several other well-written books, too, which are really worth reading, including the recently re-issued set of short fiction stories, The Furniture of Heaven. Nice. practical, inspiring, and very helpful stories. really, so some couples might balk. Most BookNotes readers long for the more foundational work, though, and this offers a wonderful framework for further, more practical stuff. Still, what is more practical than getting the foundation right? This is sadly out of print, but we have a few left. 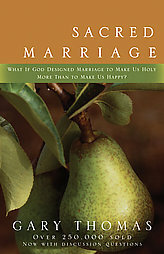 Have you had certain books on marriage that have proven to be especially helpful? That you find to be richly written, to be recommended for thoughtful readers? Do you and your faith community talk about this stuff much? 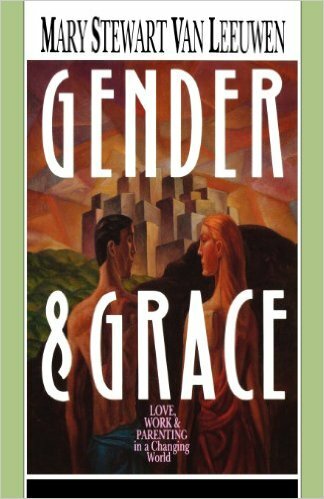 If you are unmarried, do you ever read books about gender and relationships? (We have lists for singles, too, by the way, and a book list on dating sorts of things…give a shout if we can send any suggestions.) I haven’t listed a lot of important, useful ones that we carry….what are your top few? Let us know! Thanks. Relationship is a two way commitment between partners. In a relationship, there are many trials and challenges to face. One of it is some misunderstandings. The most important thing to do is to hold on and be patient. Do not let your pride over power you. There are so many ways that can make a relationship work good. I’ve been through this.